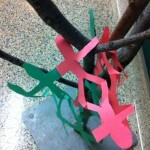 Recently, for Remembrance Day, I contemplated how to help my students understand the meaning of this solemn occasion. 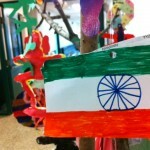 My class is made up of students from India, Pakistan, Somalia, Czech Republic, Afghanistan and Slovakia to name a few. Through several discussions, I learned that their understanding of war from their homelands seemed different than what our Canadian soldiers went through, yet the common thread was the idea of peace. Having seen the film, “The Peace Tree” by Mitra Sen, I thought this might be a good place to start. The film is about a young girl whose family is celebrating Eid. She shares her holidayand customs with her best friend and when Christmas draws nearer, she questions why her family can’t celebrate both occasions. 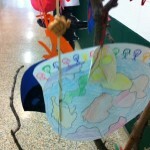 This leads her to make a peace tree with symbols from different religions and cultures. After watching this film with my class, I could see them making connections to their own experiences with religion, exclusion and identity. 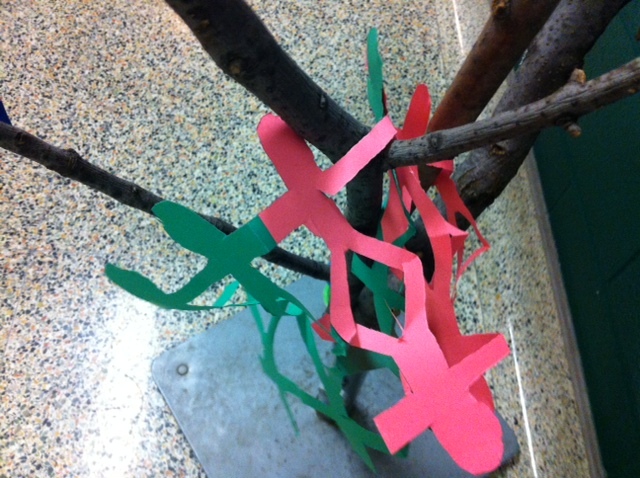 We became excited at the thought of making our own Peace Tree and I began the search for the right branches to hold our ideas. 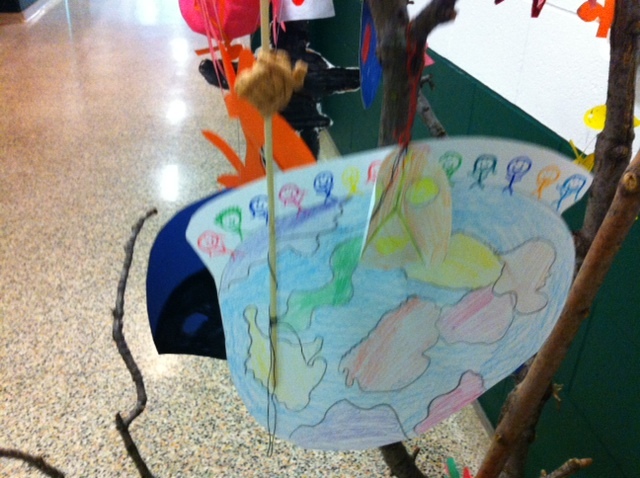 Together, we spent some time studying different signs of peace from around the world, such as the diya (India), the Inukshuk (North America), the Yin Yang (China), the Star of David (Israel) and more. 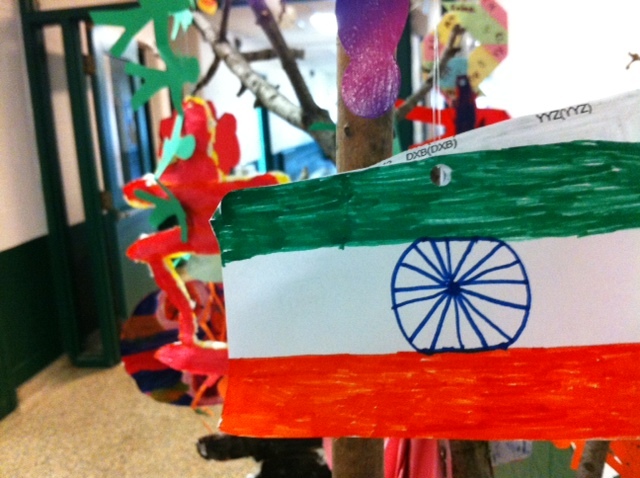 My students took materials home in earnest to start making these signs and often came up with their own symbols: flags from different countries, chains of people, and hands. 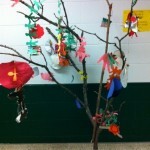 At our school assembly, while each class was invited to bring a wreath, my class chose to bring their Peace Tree which had also been decorated with poppies. 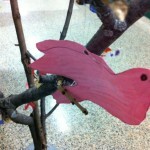 Two of my students spoke at the assembly about why we had created this tree and what it stood for. It has been an interesting experience for me to watch my students get so excited about the different symbols and how the meaning of peace is the same no matter where you live in the world. 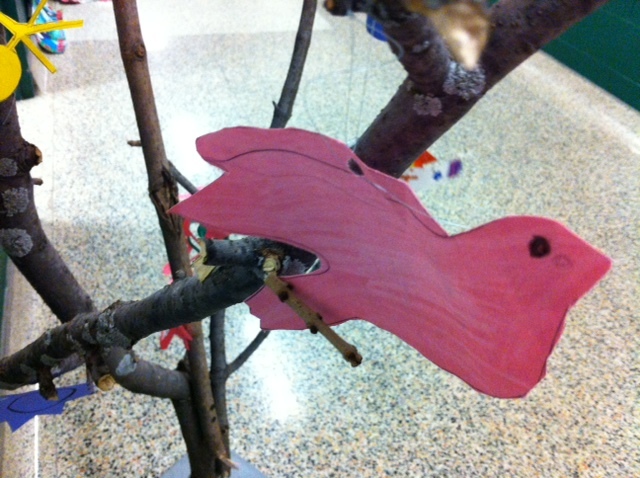 We were asked to put our Peace Tree outside the school office for others to enjoy and my students often ask when we are getting it back…they want to add more to it!